Manchester, like many European cities, has a long history of change and adaptation. Much of the city’s character is expressed through its built environment-preserved and new-through layers of materials and spaces along its streets, waterways and building facades. Green space, a city’s “urban nature”, is often overlooked as an integral part of its expression. 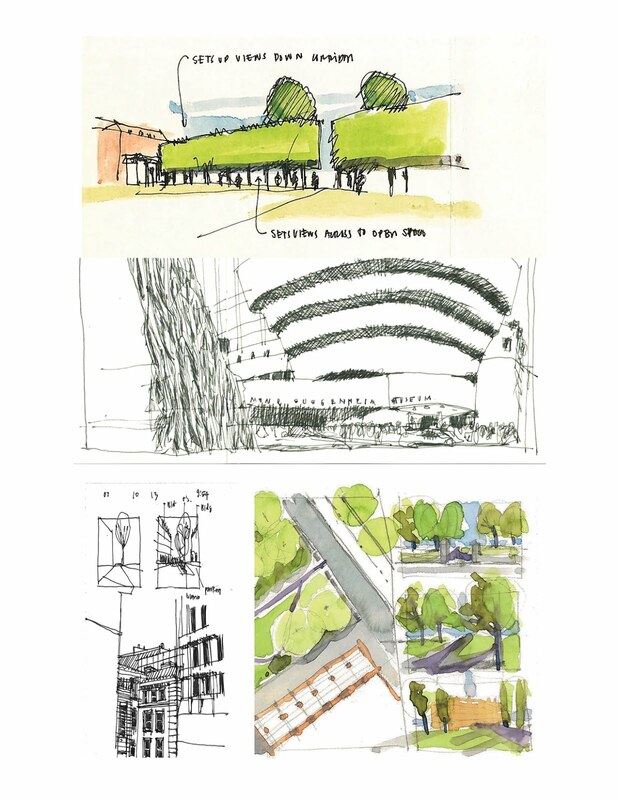 Sketching urban nature in Manchester will help sketchers better understand, visualize and express urban green space both in this and other cities. The goal of the workshop is to introduce participants of all skill levels to techniques that capture urban green spaces (gardens, parks and ecological systems). Gardens and parks can be seen as manmade spaces composed of elements that respond to the human need to be close to nature. 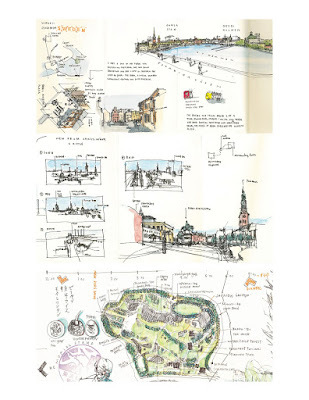 This section will teach techniques in map and plan reading that will help to sketch urban green spaces. Green spaces are composed of a set of basic elements: Trees, shrubs, groundcover, paths, and landforms. 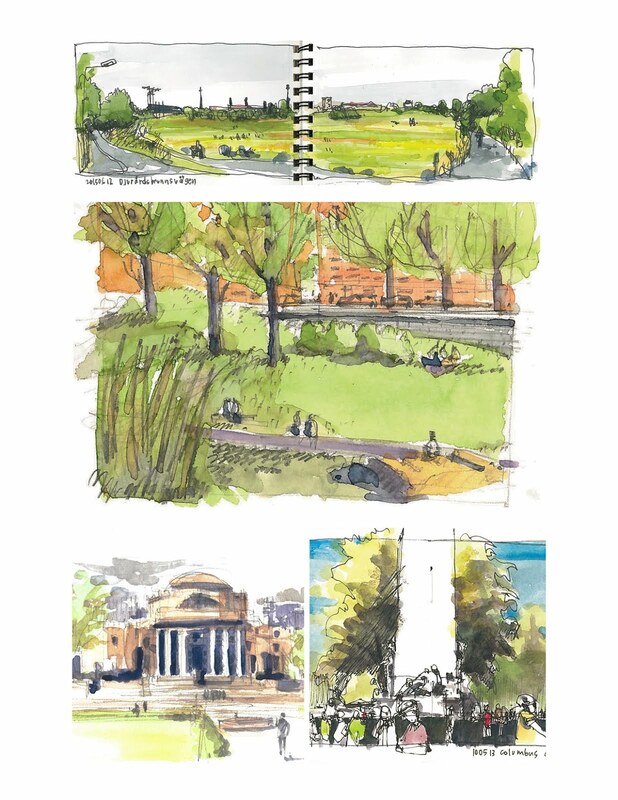 Participants will learn ways of sketching these elements that capture specific structure, forms and characteristics that are site specific. We will work through thumbnails, value studies and simple washes to select the “picture” that best captures your experience of the space.